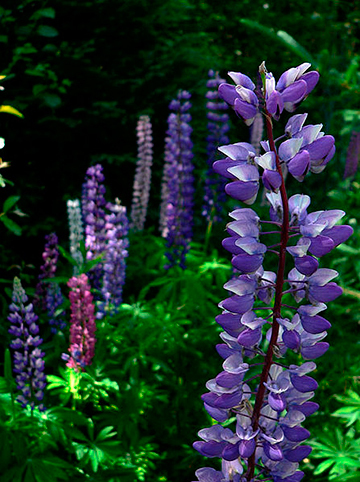 Do you share my love of lupines? To me, they are the quintessential alpine mountain flower, springing boldly up from rocky slopes in summertime. 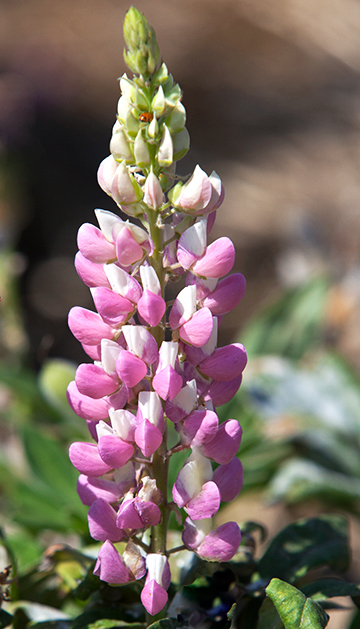 Actually, though, there are some 200 varieties of lupines that grow across the U.S. and are happy to grow in your garden in shades of lavender, ivory, gold, and pink. But … why am I mentioning lupines now, as the growing season is starting to wane? 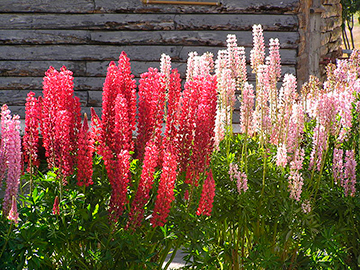 It just so happens that one of the best ways to establish lupines is to plant them in the fall. Of course, you can order seeds online, but it’s fun to collect them in the wild. 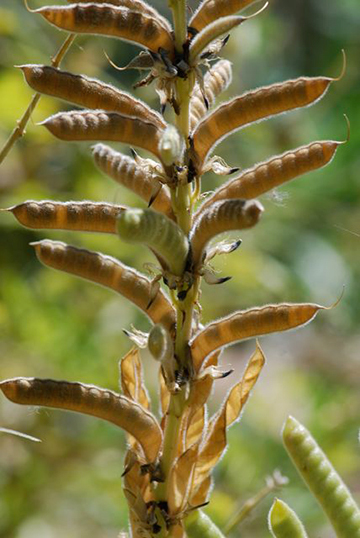 Lupine seed pods burst open when ripe (in my neck of the woods, this happens in August). 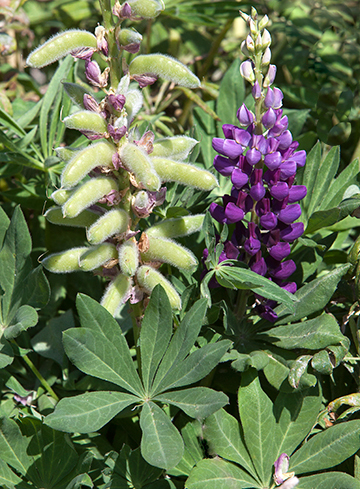 You can collect seeds from the ground around a lupine plant—you may have to compete with birds and squirrels to find them—or you can also gather the brown, dry pods before they burst. 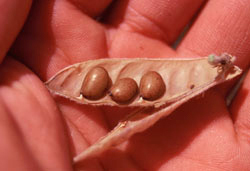 Place the pods in a paper bag so that they burst naturally, and then gather up the seeds. Don’t be discouraged if your plants don’t appear for two years. 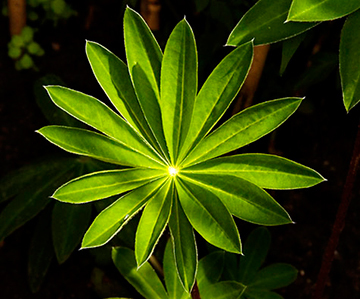 Once they’re established, lupines will propagate themselves without assistance. A display like this is worth the wait! 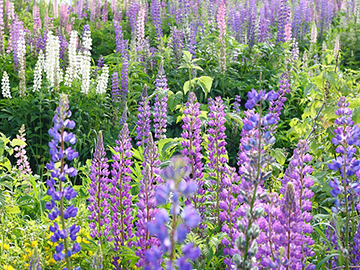 Now, I invite you to sit back and enjoy this lovely tale of a lady and her lupines. As in Johnny Apple Seed, so goes Alice Lupine Seed. Lovely flowers, lovely story! Alas, maybe they grow in the mountains of Norway and I will be seeing them soon? 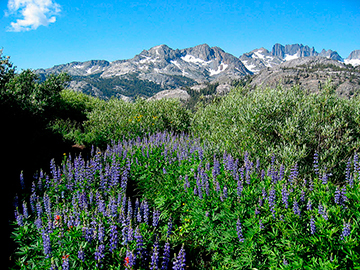 Beautiful colors on these Lupine flowers & a gorgeous mountain setting. I’ve been trying to grow the Wild Blue Lupine for a few years now; it is the declared choice for the endangered Karner Blue butterfly. I will listen to, ‘Miss Rumphius Audio Book’. 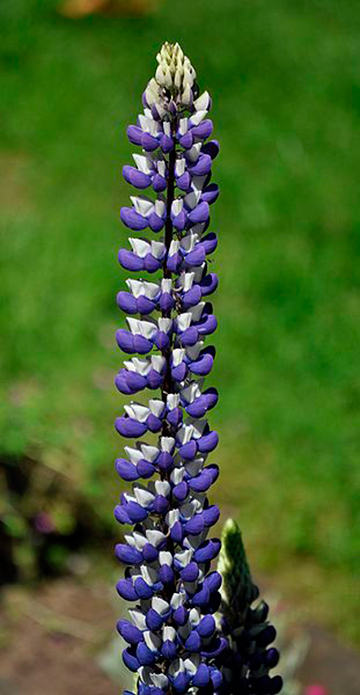 Hopefully, Alice can help me grow lovely Lupine’s too:-) Thank you for the pictures & details. Those are lovely! 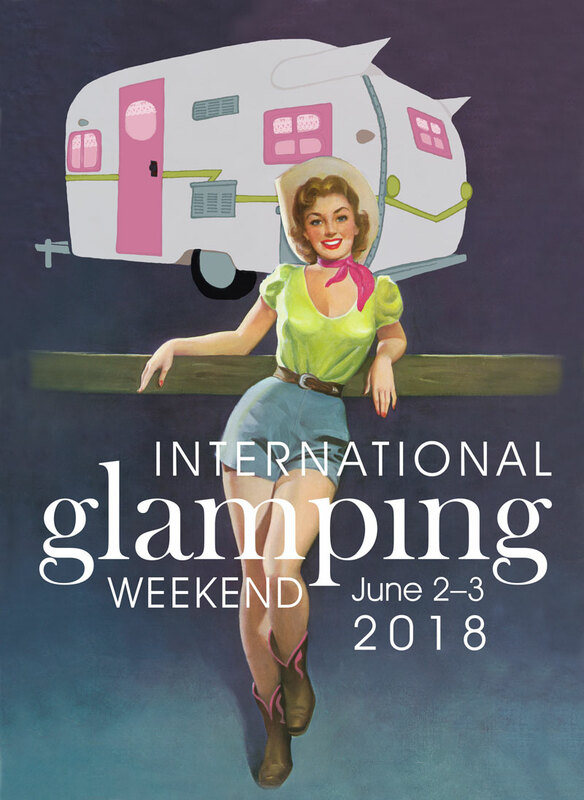 I don’t ever remember seeing them here in Georgia, but that could be because I live in Atlanta….